Product prices and availability are accurate as of 2019-04-23 11:33:11 UTC and are subject to change. Any price and availability information displayed on http://www.amazon.com/ at the time of purchase will apply to the purchase of this product. 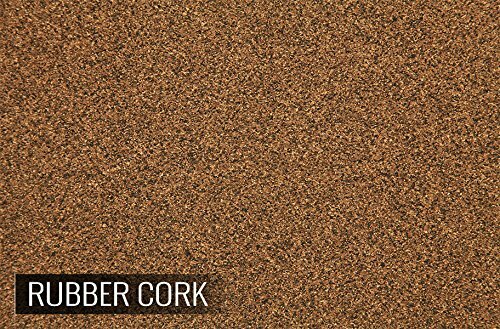 Description - AcoustiCORK R12 1.2mm is a composite underlayment composed of both cork and rubber. This flooring underlayment has been specifically designed to prevent unsightly stress cracks that are caused by structural or thermal movement which can reflect through to ceramic or natural stone floors. 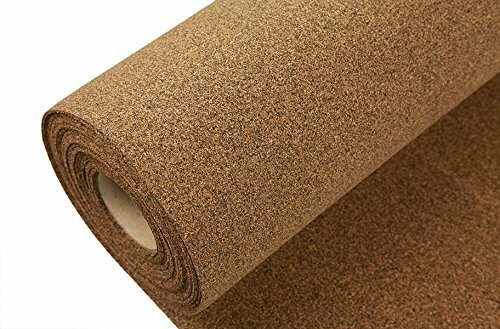 Since this is composed of both rubber and cork, this flooring provides you with the benefits and drawbacks of both. This underlayment can be installed over concrete and can also be laid over the entire surface or in just the areas where cracks have occurred in the subfloor surface. This flooring underlayment would also need to be adhered with adhesive and a vapor barrier may be needed if required by a manufacturer's warranty. Material - AcoustiCORK R12 flooring underlayment is composed of both rubber and cork which are both eco-friendly products. Width - 50" wide rolls. Length - Available in a 75' long roll. Weight - 61 Lbs. per roll. 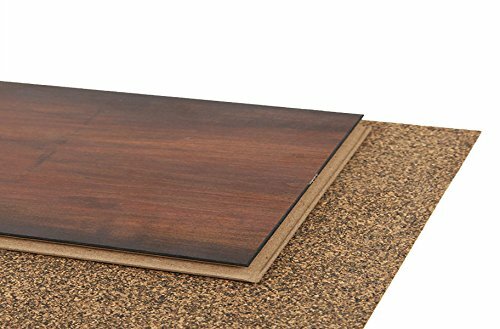 Recommended Uses - R12 rubber/cork underlayment is a favorite to use under ceramic tiles, natural stone, but it has been used under, hardwoods, vinyl, linoleum, bamboo, cork flooring, and luxury vinyl tile and plank.